Today we got our hands of Soccer Revolution 2018 APK MOD or Football Revolution 2018 APK MOD and its unique and addictive. 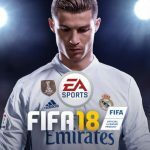 Before we get PES2018 or FIFA18 APK we have got SR18 APK. we have received so many request regarding SR2018 APK and now finally its here. 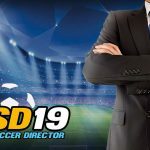 A new generation soccer game just dropped in but its currently available for limited amount of gamers. 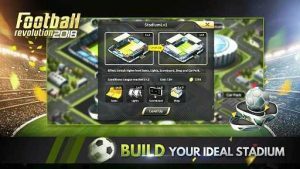 you can simply download the Soccer Revolution 2018 MOD APK SR2018 APK directly from Andropalace with no region lock. 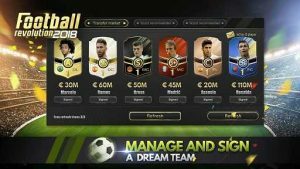 Its completely an online game and Unlimited Money is not possible but some MODS are possible. you will have to wait for it. 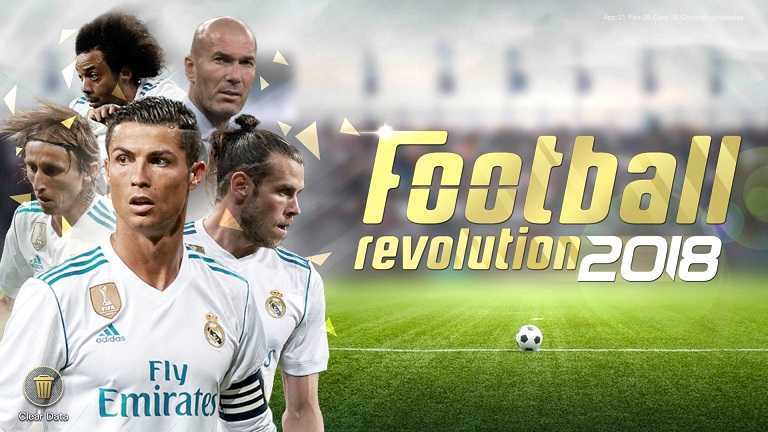 Soccer Revolution 2018 is an amazing and exciting fully 3D mobile soccer game and this game is in partnership with FIFPro. Its completely in favor of soccer game fans because it has all major features which a sport fan needed in a decent game. 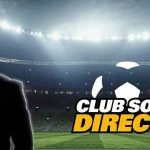 from realistic Gameplay and action ditto actions and emotions from real players wit, you will be making all the roles together from starting until the match ends. 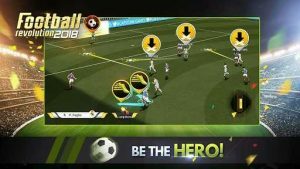 Gameplay of soccer Revolution 2018 APK MOD is unique and fresh. 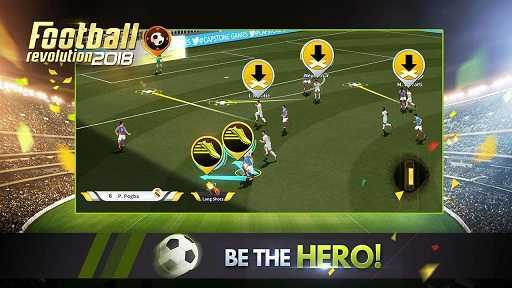 There is a hero mode which is being activated automatically when you are in heat close to the goal post. Your game stops for some seconds and you will have to decide what will you do by touching other players. A success ratio is shown on each players so you can simply check if you could make it or not. same goes when you are near the Goal Area and you have to swipe to make a goal hit. 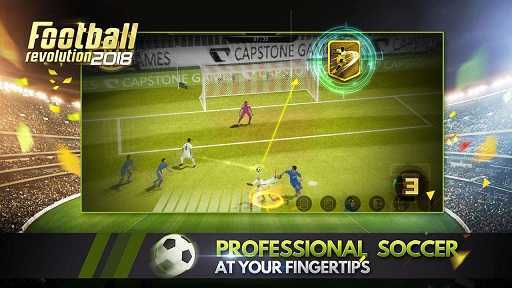 Amazing Graphics and quite a different Gameplay than any regular soccer game. what bugging me is that its a freemium game and you might end up grinding for money. 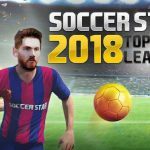 since its an online game Soccer Revolution 2018 MOD APK for Unlimited money is not going to happen. Amazing detailed graphics but gameplay and game performance needs to be optimized. 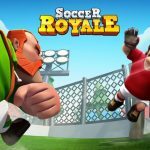 Other then that its a top notch soccer game which everybody can try at least once. Install APK,Download data (250 MB) Directly from game and play. 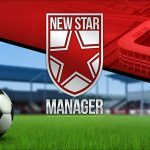 MOD APK could be added soon. Game popping up network error, whats wrong please?